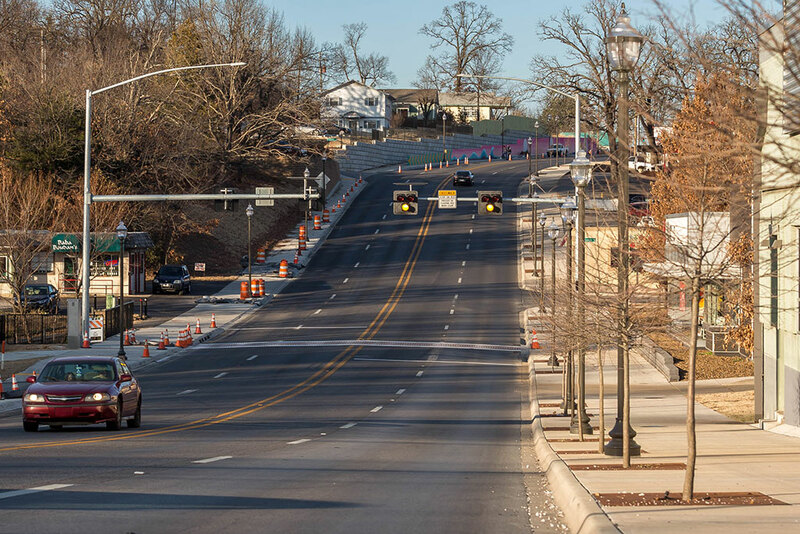 City officials will host an open house for the public to view the overall design concepts for the 71B Corridor Plan from 5-7 p.m. Tuesday, Feb. 12 inside Room 111 at City Hall, 113 W. Mountain Street. A formal presentation by project designers will begin at 5:30 p.m.
With the majority of through-traffic in Northwest Arkansas now traveling along Interstate 49, city planners are rethinking the future of the Highway 71B corridor, which includes College Avenue and South School Avenue in Fayetteville. Officials have said the goal is to create safe travel for vehicles, transit, bicyclists, and pedestrians. Study for the plan includes two areas: North College Avenue from North Street to the northern city limits near Lake Fayetteville, and Archibald Yell Boulevard and South School Avenue from Rock Street to Cato Springs Road. Since August, 2018, city staff and project designers have been working with residents through a series of public input meetings to develop a vision and implementation program for the future of the roadway. More information about the project is available on the city’s website at www.fayetteville-ar.gov/71B.